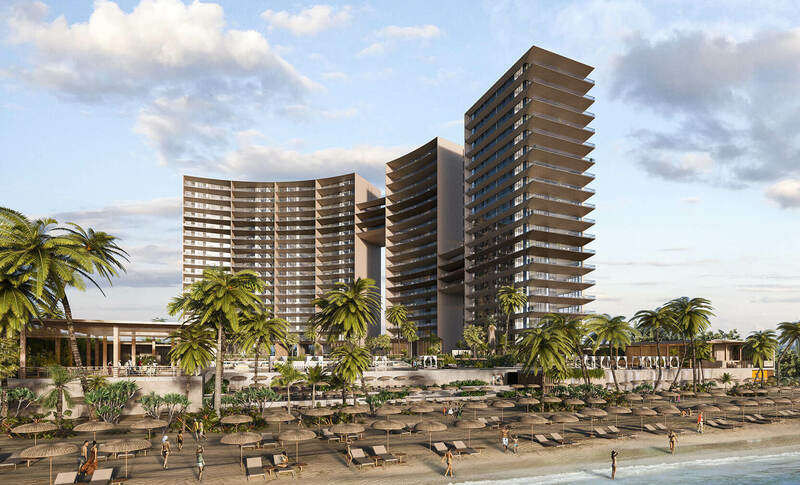 Located in the attractive Punta Diamante area of Acapulco, Punto Mar stands on a flat, 26,000 m2 site with 100 meters of beachfront between Laguna de Tres Palos and the Pacific coast. 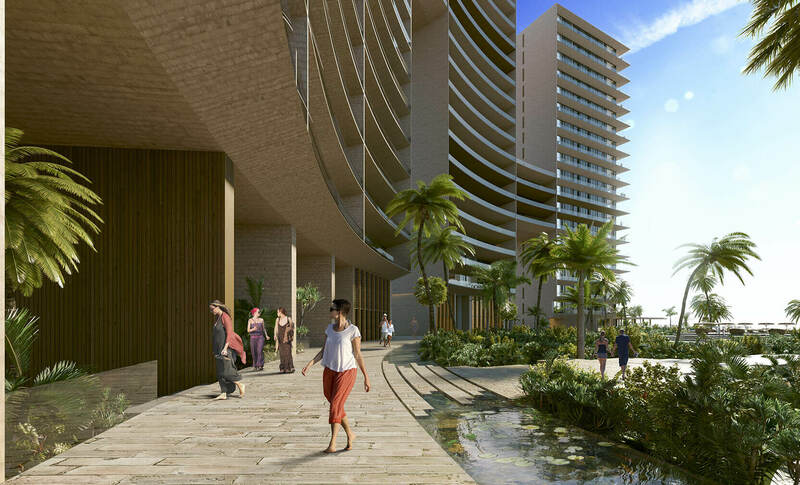 This offers an ideal location to establish a luxury apartment complex with magnificent views of the sea and the lagoon. 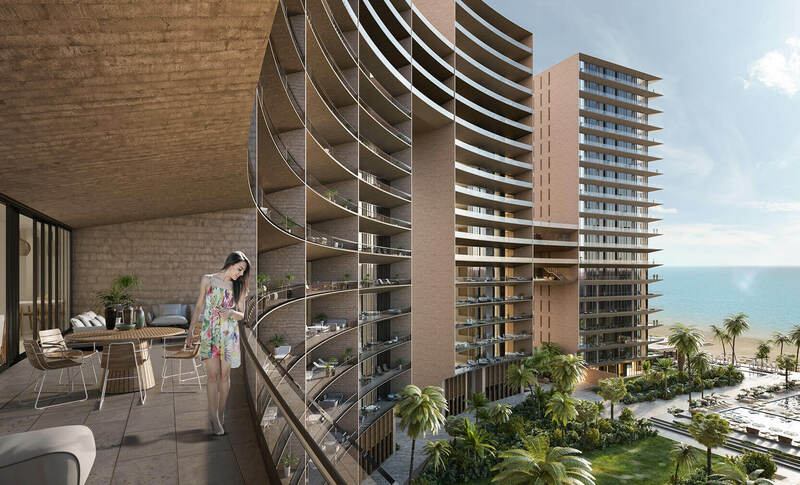 Conceptually, the formal intention of the project revolves around the spatial relationship between the independence and privacy of each resident with the sense of cohabitation and community the complex seeks to generate, while avoiding the creation of a visual barrier to the surroundings. To the contrary, the guiding principles are to free up the major views of the site and enhance the spatial experience in every possible direction. Following a number of studies of the terrain and potential layouts, the optimal result seems to defy gravity, extending its geometry towards the natural elements such as the sea, the earth, the lagoon and the tropical vegetation. 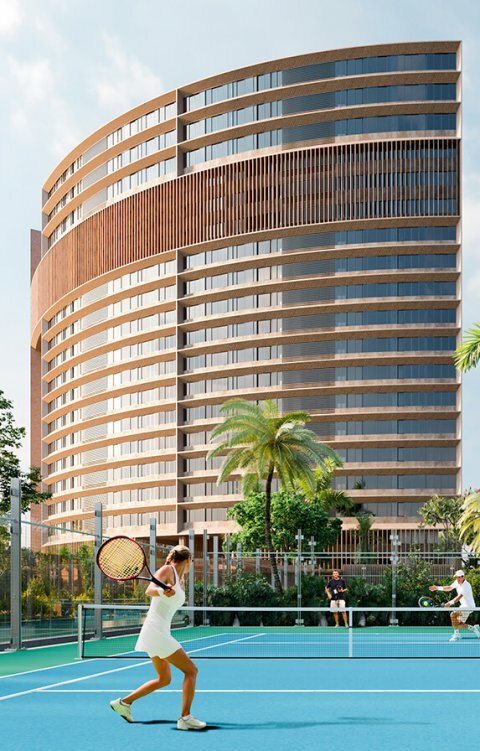 The reading of the residential complex covers three main areas: to the north, the principal entrance, multipurpose room, sports amenities and services; in the center residential towers A, B and C; and to the south the restaurants, sports bar and pools area. 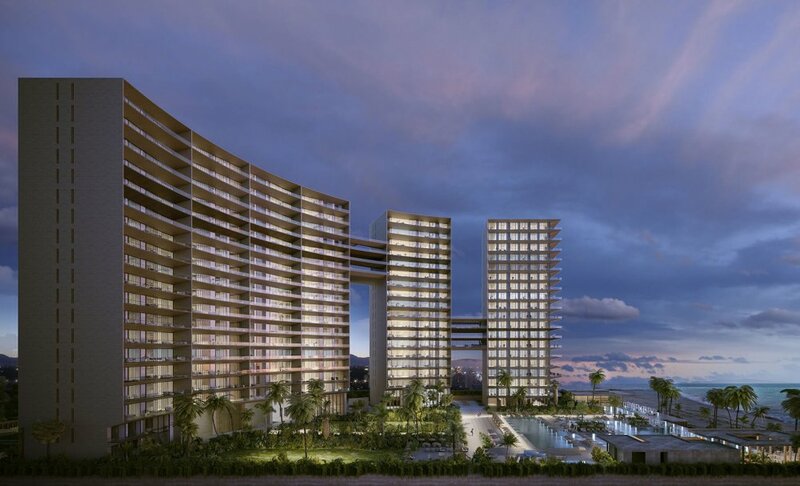 The user experience begins from the motor lobby—set one floor above street level, with a 47-meter-high entrance gateway, which frames the horizon of the Pacific Ocean, warmly receiving residents. 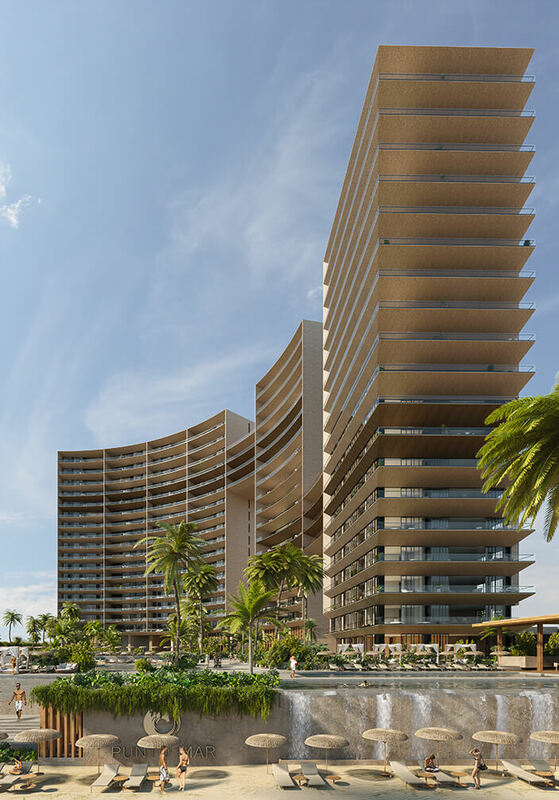 The 122-apartment complex is laid out in a semi-horseshoe shape with the concave side facing the Pacific, and comprises three independent towers of 19 stories each, with a maximum height of 80.5 meters above sea level. The three principal bodies are connected to each other by two bridges at levels 8-10 and 14-16, with the aim of integrating the volumes and circulation. 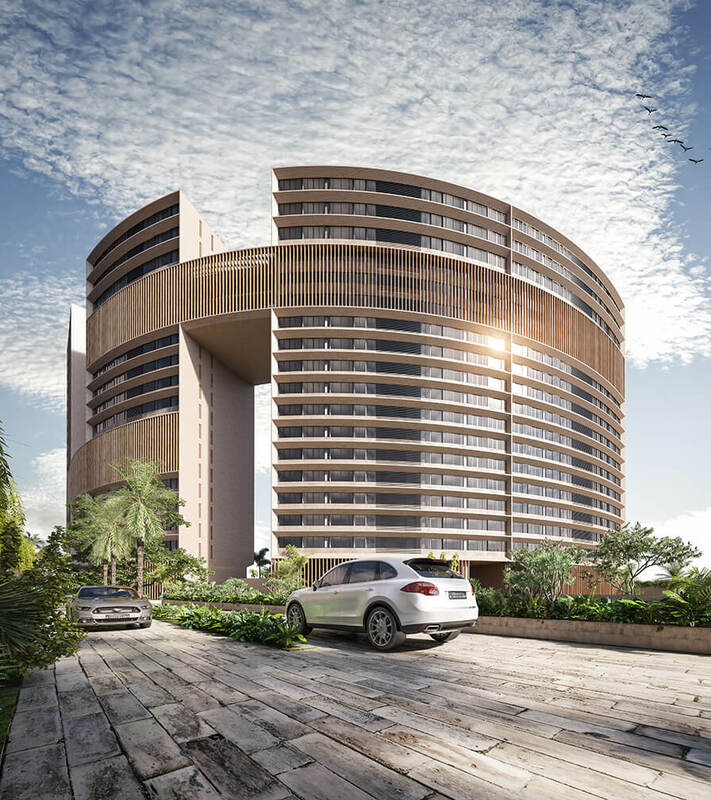 The interior of the three towers is configured as follows: to the south-east, Tower A offers one 5-room apartment per floor; to the north-west, Tower B contains four 4-room apartments per floor; and in between them Tower C provides two 3-room apartments per floor. 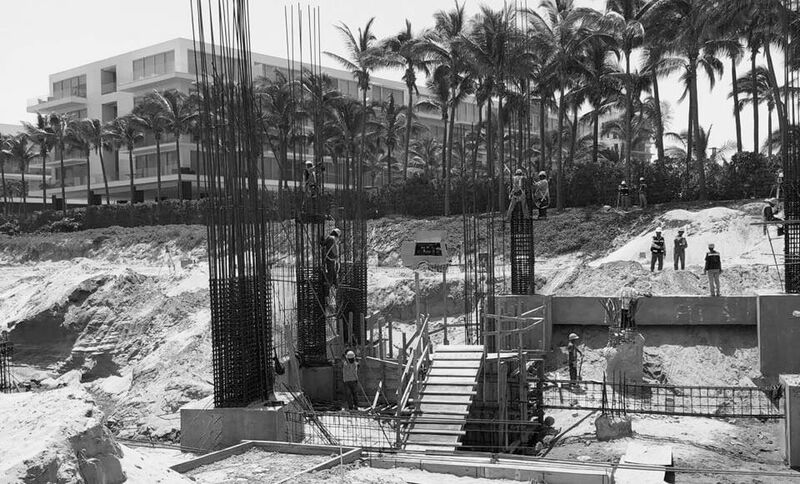 The project incorporates four vertical circulation cores that serve the entire residential complex, positioned to the rear of each volume. Two cores in Tower B serve 68 apartments, while one each in Tower C and Tower A serve 34 and 19 apartments respectively.